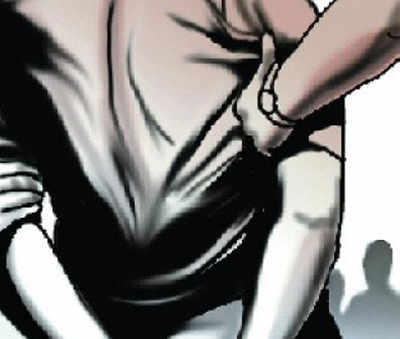 A case of cheating was registered at Karelibaug police station against Raj Vyas and Vikramsinh Rajput, who were arrested by Mahisagar local crime branch (LCB) last week for looting a provision store owner and making fake identity cards of deputy inspector general (DIG) of police and National Investigative Agency (NIA). VADODARA: A case of cheating was registered at Karelibaug police station against Raj Vyas and Vikramsinh Rajput, who were arrested by Mahisagar local crime branch (LCB) last week for looting a provision store owner and making fake identity cards of deputy inspector general (DIG) of police and National Investigative Agency (NIA). The complainant Ravi Gurjar, a resident of Chhota Udepur, was duped by the duo who promised job in ONGC, Surat. They had also given him a fake appointment letter. After Vyas and Rajput were arrested, Gurjar approached LCB cops and asked them to file his complaint.